Whether it was school, work or entertainment, your trusty MacBook Pro has done its duty as a laptop. The real question is, where to take it now? Where is a safe and convenient place for you to say goodbye to your old electronic reliable while earning more money in return? Used MacBook Pro, meet Gazelle. We’re the trusted online marketplace that will give you more for your old devices. We like to keep things easy around here. Gazelle offers a streamline procedure when you’re looking to trade in unused devices. That means no middleman, clear communication and a fast payment process. We understand that you’re looking to get the most for your MacBook Pro, and hope to give it a second life while offering you more green for your wallet. It’s a win-win for everyone involved. HOW DO I TRADE IN? Let’s get this trade-in party started. You’ll start by creating a free quote for your device online. It only takes a few moments and consists of questions about the current condition of your MacBook Pro. Once you’ve answered to the best of your ability, we offer you an initial estimate on your device. You’ll then have 30 days to send us your laptop. Plus, shipping’s on us. We send you a nifty box. If you can’t decide in 30 days if you’re ready to sell, no problem. You will, however, have to create a new quote online at that point. Once we receive your preloved MacBook Pro, our Gazelle inspectors do a final check-up on your laptop. If we change the initial offer made, we’ll send you an email informing you and give you a chance to opt out of the sale and have your device sent back to you. If the deal sounds swell, we’ll send you payment within 10 business days and find a new home for your MacBook Pro. It’s as simple as that. 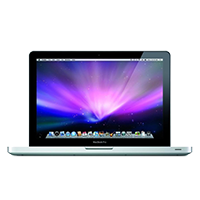 Don’t let your used MacBook Pro go to waste when Gazelle is ready to make you an offer. Sell your device today!